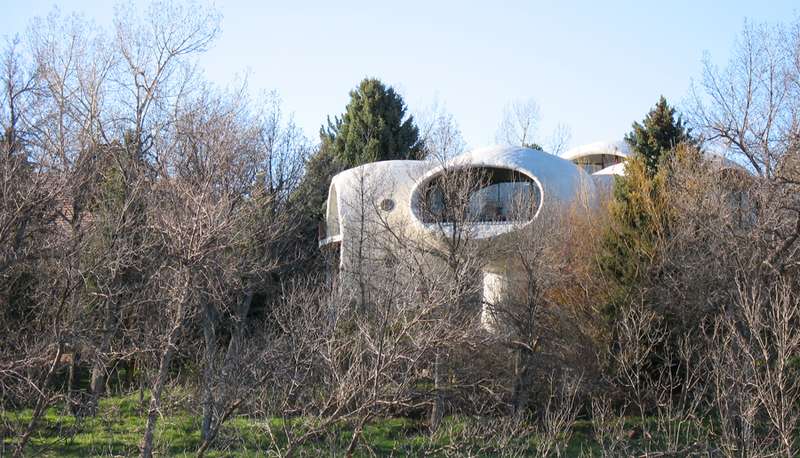 ... an ex navy man] the home features a radial design with five "barnacle like" pods. The properties main level spans all five pods of which three have only a single level; two of the pods also include a second level. The three main pods with views house the main living areas while two pods that have lesser views house the garage and a dressing room. The construction method of the property was somewhat unorthodox and basically involved spraying polyurethane foam over a rebar framework. The house has been the subject of much publicity over the years. 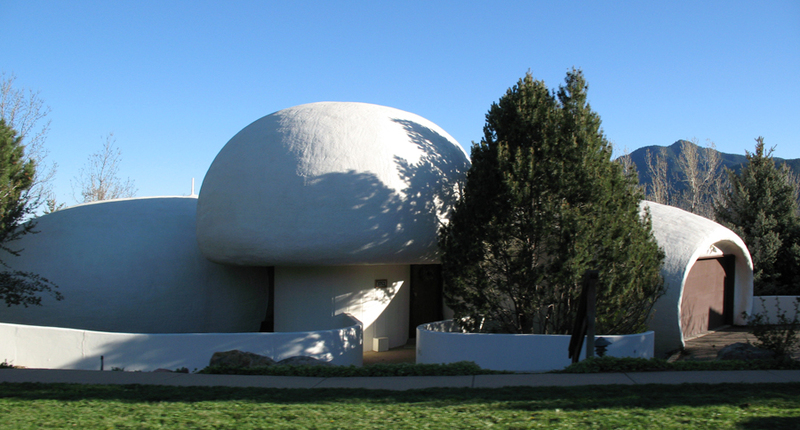 It featured in a National Enquirer article column "Weird Houses"; the article was reproduced in the July 2008 edition of the magazine Dwell which can be found on Google Books here. 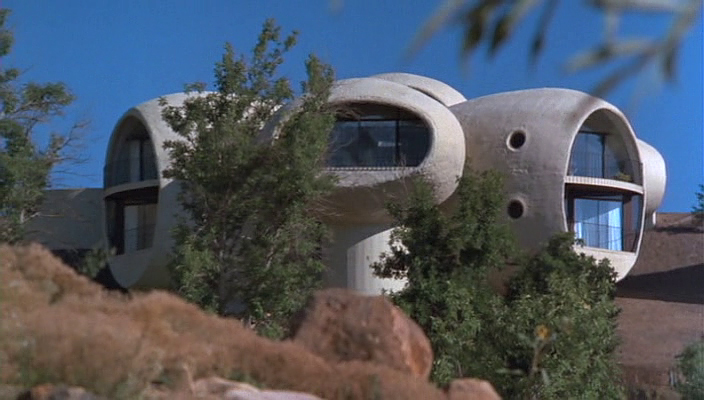 The house was also featured in a brief scene from the 1973 Woody Allen film Sleeper.